My story starts in Pittsburgh in the late 80s and into the early 90s. I was about 10 years old and I was in love with hockey. I used to play in the driveway of my best friend at the time, who was a boy, who also played ice hockey. We played street hockey and I learned how to shoot and stickhandle there. I then would tag along with his family to the rink and did the learn to skate classes there. I was the only girl in hockey skates during this time. I continued to do this all the while begging my parents to let me play ice hockey. I was always met with “no, not until there is a team for girls.” The situation felt helpless at the time, and I would be in tears most days regarding this topic. But I continued to play with the neighborhood kids and even managed to score a pair of rollerblades for my 12th birthday, which helped to tone my skating/playing. Then something magical happened: the Penguins won the Stanley Cup for the first time. This really spurred the popularity of hockey in a football crazy city. Around the same time that this happened, I was skating at a public skate and saw something I had never seen before: two other girls wearing hockey skates. I was so excited that I went up to them and discovered that they too were wanting to play hockey and that their father was trying to start an all girls team in Pittsburgh for the first time since the 1970s. Now, I could say that the rest was history but unfortunately that was not the case exactly. Being a pioneer in any new endeavor can be very trying and we did have our obstacles. The first was actually finding an organization that would take us on as a team. Most of the already established boys’ teams would have nothing to do with us. We were lucky enough to join up with a brand new organization that was willing to give us a shot. And even after that, the parents of the boys in that organization were anything but warm. They tried to make us feel we shouldn’t be there. They tried to take our “travel” jerseys once saying we weren’t really a travel team—we were, though. And they especially didn’t like it when we beat their sons when we played them during in-house games. So we left that organization but that did not end us. After that initial season, the popularity of the sport continued to grow in the city, as well as the idea that girls could and wanted to play. We went from one team to four the next year. I continued to play for the next five seasons until I aged out of the league. I went on to play women’s hockey with the girls I grew up playing with and even played in USA Hockey’s women’s national tournament on a few occasions. We never won any hardware but the memories and friendships will be there to the day I die. I continue to play to this day and will play as long as my body will let me. Now, I’m a mother of a son and a daughter. My daughter, who is eight, has followed in my footsteps and will be going into her fifth season of playing. My daughter can walk into a rink with a hockey bag without people looking at her like she is from another planet. My daughter has played in many states and and a different country and has made lifetime memories. 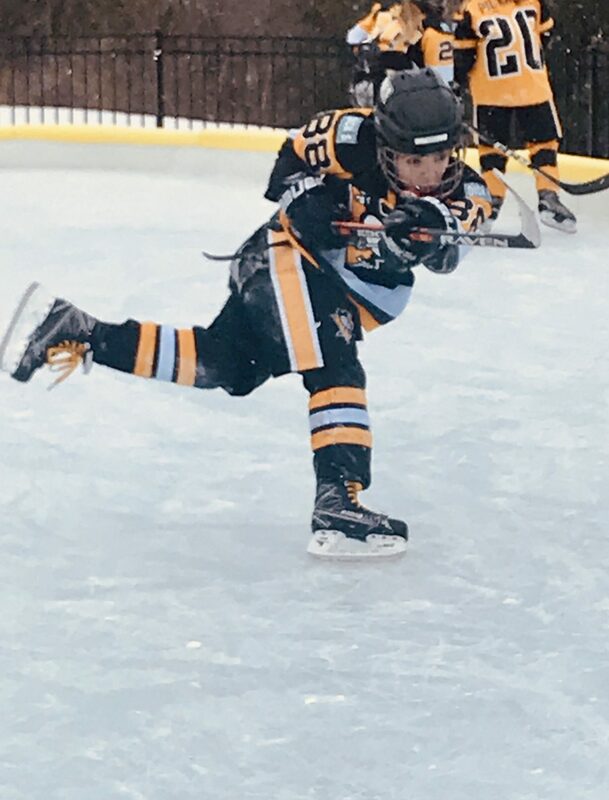 My daughter has attended a professional women’s hockey game and has skated with Olympians and NWHL players through various clinics that are offered to her. My daughter had the opportunity to attend and be a junior starter at a Division I women’s hockey team. My daughter has the opportunity to play on an Elite level hockey team with girls of the same mindset who are not made to feel “different” or “weird” because they love hockey. My daughter has amazing male and female coaches that will help her reach her potential on and off the ice.